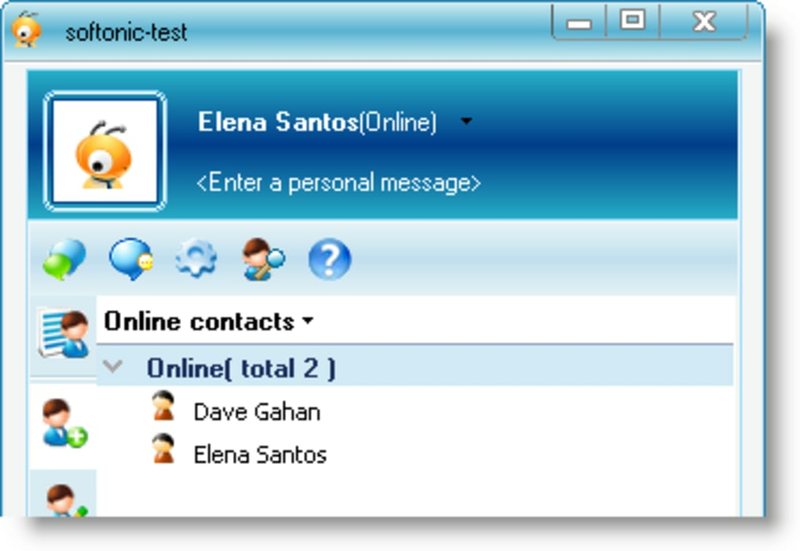 Instant messaging clients are an efficient way to communicate in professional environments. But they also have some risks, such as potential security holes, and the fact that you may end up chatting with old friends instead of doing your job. In these cases, the best option is to choose an internal IM client like BigAnt Messenger. This powerful and eye-catching instant messaging utility is the perfect communication tool for small companies, enabling workers to take part in text chats and video conferences without the risks of a public IM client. 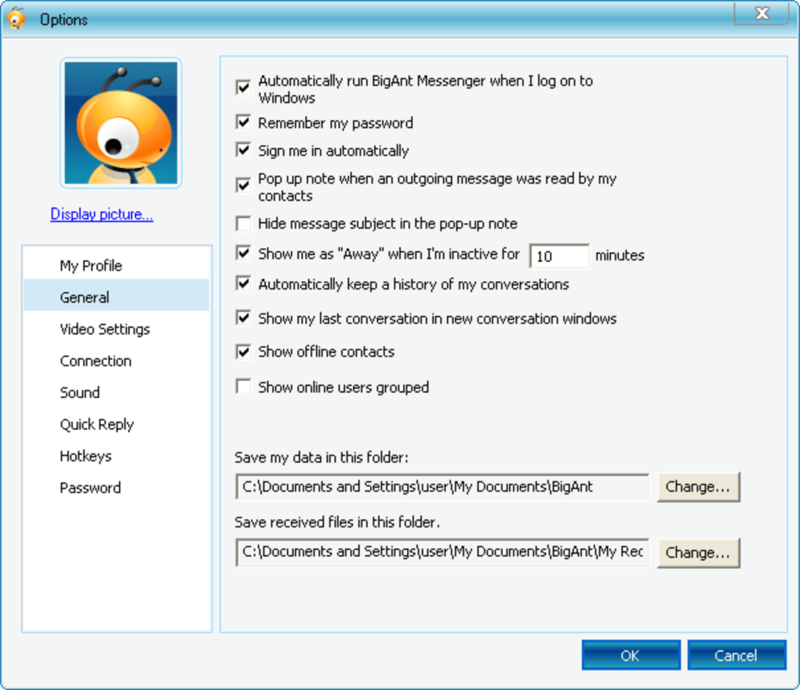 BigAnt Messenger comes in a Zip file, which contains both the server and the client app. 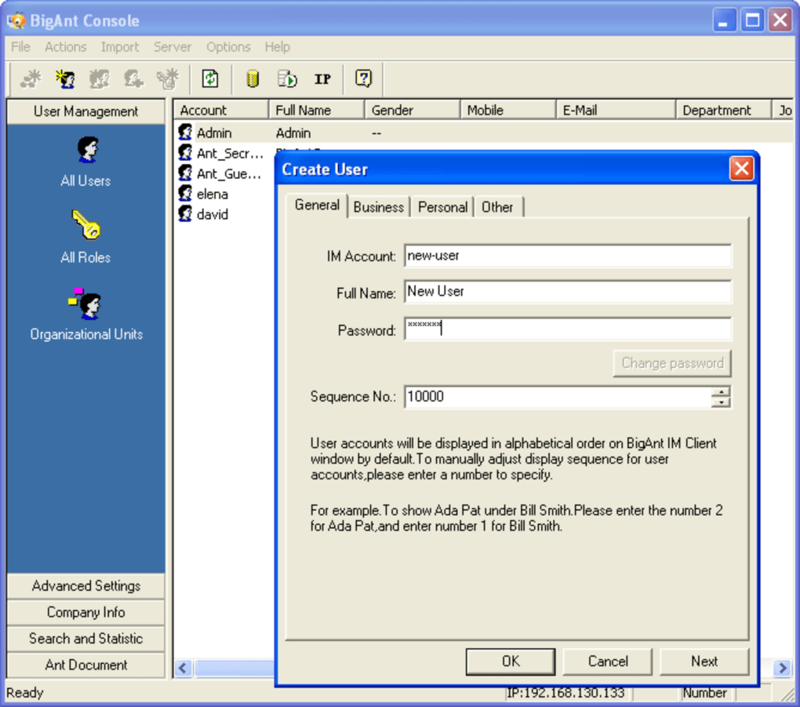 All you have to do is install the server, configure some easy parameters and create user accounts. Then install the client app on all the machines that will use BigAnt Messenger and you're done. The program features a well-designed interface in the style of traditional IM clients, with support for user avatars, file sharing, password protected messages, emoticons and nudges. BigAnt Messenger is an excellent IM client for companies that improves your online communications without any security risks. 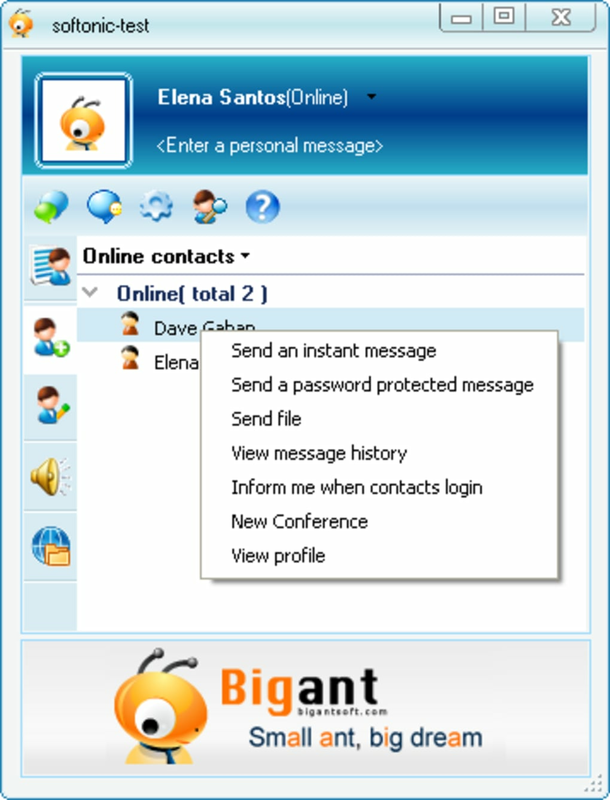 BigAnt Office Messenger is an instant messaging tool to let you build a secure and stable IM system in house, Support Windows 7, Mac os X, Android and Blackberry. Several functions available are suitable for business use. 1. Ensure secure instant messaging, 2. Maintaining a dedicated in-house IM server, 3. Build a IM system only for office communication. 4. Show your company structure and staff as it should be. 5.Key features including IM and offline message, file and folder exchange, group discussion, broadcast, remote desktop sharing, history logging, print message, customized presence status etc. 10users license is free for small business. 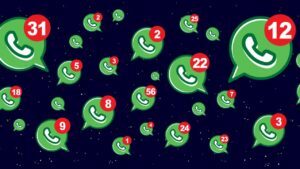 More richful functions for instant messaging. 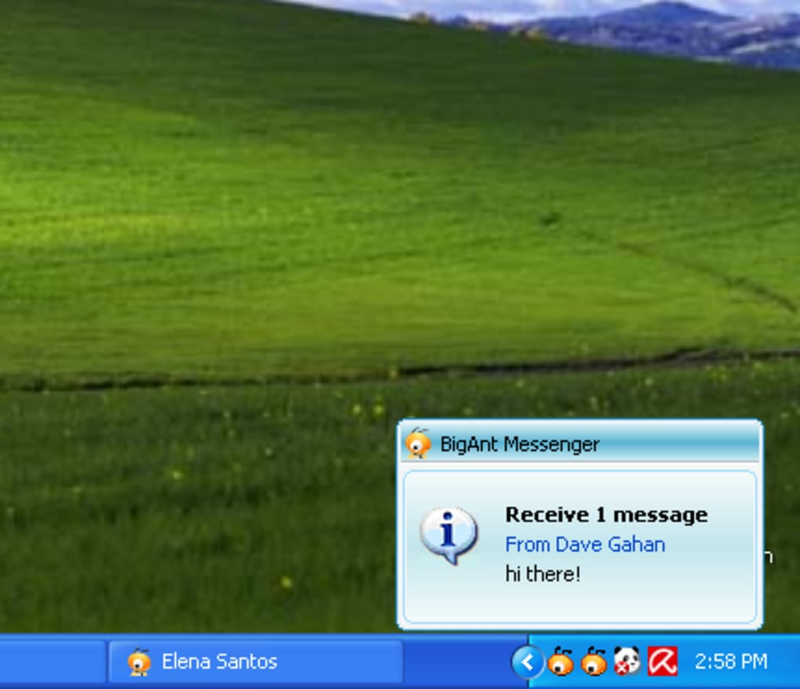 BigAnt office messenger keeps on add new features and functions to boost office communication. 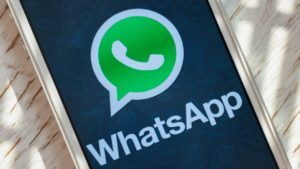 Users who are looking for a secure and cross-platform instant messenger for small, middle-size and enterprise businesses. 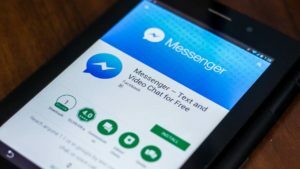 What do you think about BigAnt Messenger? Do you recommend it? Why?